If your considering a revision to remove rib grafts, you will have to consider the consequences. 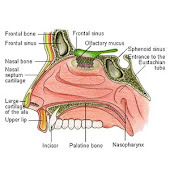 One of the consequences is that your nose grafts support your nose now, and some of your previous supporting structures may of been partially removed or reshaped. A better solution if you feel your rib grafts are too large, is too have the grafts made smaller in thickness, however, warping can then become a problem.You will have to see your nose revision surgeon or a new surgeon if that isn't an option to discuss your options, and hopefully the operative report is complete and specific enough to guide the surgeon contemplating correcting this issue. Maybe a ct-scan of the nose would reveal more information before attempting to perform such a surgery.